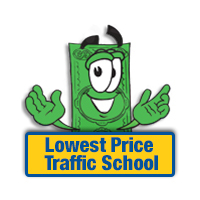 At LowestPriceTrafficSchool.com we've made our courses as easy as possible to complete, however we do understand that you may have an occasional question or two. If you're looking for a quick answer, check out our FAQ. Our agents are trained and eager to assist you with getting your driver's license. Please feel free to contact us toll free at 1-800-729-1997 or use our convenient form below. We will respond to your questions as quickly as possible. Ask your questions through our Facebook page.